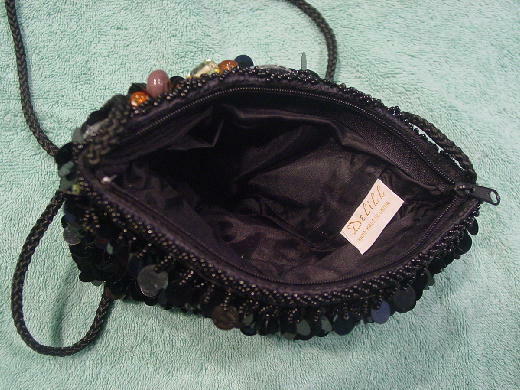 This vintage evening purse was handmade in China and is by DeLill. 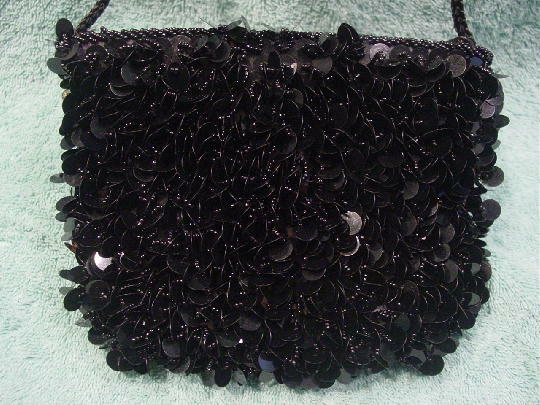 It has a black fabric base with large black angled sequins connected to each other by rows of little black beads. 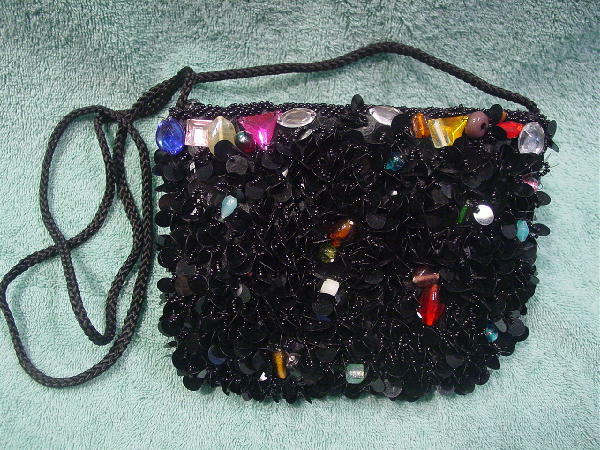 It has a top side to side zipper opening with diagonal rows of little black beads edging it. There is a woven black cord 44 1/2" by 1/4" shoulder strap. It has some padding between the lining and the exterior fabric backing. Eden added faux jewels and glassine bead accents on the front and the sides in red, blues, amber, black, white, clear, greens, orange, yellow, pink, and magenta. 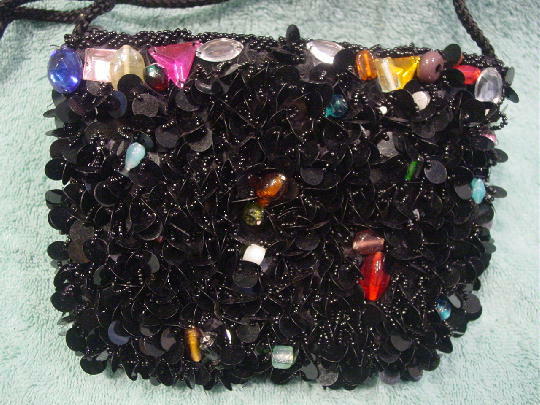 She bought the black sequin and bead purse in the early 1990s at a vintage boutique.